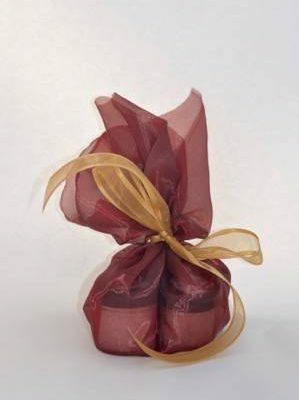 Treat yourselves to custom SAHAJA Essential Oils SACRED UNION Wedding Blends. 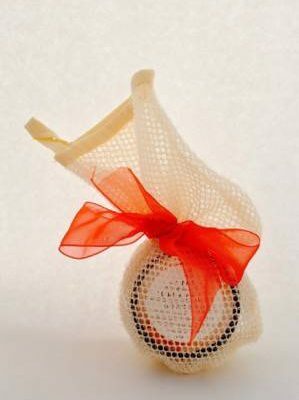 Your signature, organic fragrance will make your big day more memorable for everyone. Get in touch with SAHAJA for additional planning to share your Wedding Blend or a blend from the SAHAJA line with your bridesmaids, groomsmen, and the whole wedding party! 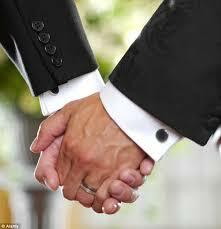 Your wedding day and the events leading up to it are amongst the most important in your life. 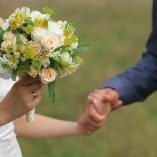 Meticulous planning goes into choosing your apparel, venue, guest list, food and flowers, but so often your personal scent for your big day is overlooked. 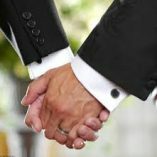 Celebrate and honor your loving partnership with custom SAHAJA Essential Oils Sacred Union Wedding Blends for both of you! Your signature organic fragrance will make your special day memorable for everyone. 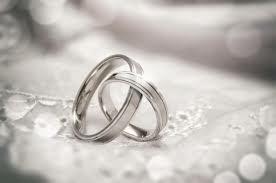 The creation of your custom essential oils SACRED UNION Wedding Blends begins with the completion of a brief questionnaire about both of you and your wedding. Next, Sahaja Douglass creates five sample essential oil blends for each of you based on your expressed preferences. You take these samples home and wear them until you have each chosen a favorite. 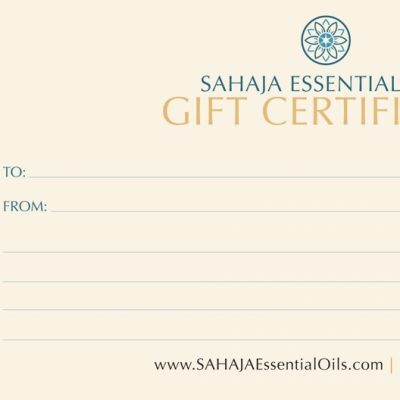 Next, your favorite blends are lovingly hand-poured into beautiful bottles for you to wear and treasure and the formula for your blend is stored safely in the SAHAJA Essential Oils archives. If you do not live locally, this collaboration can be done via Skype or Facetime and your samples and final blends will be mailed to you. While the original SAHAJA bottle is a gorgeous, Italian frosted bottle, you may want to have a beautiful custom bottle designed with your wedding blend name silkscreened on the bottle. Additional bottles with your custom blend or a blend from the SAHAJA line make fantastic gifts for your bridesmaids and wedding party. Allow 3-4 weeks turnaround time for this option, once you have chosen your final bridal blend. Customizing a wedding sticker for mini bottles with your signature wedding blend makes a fantastic and unique gift for guests. 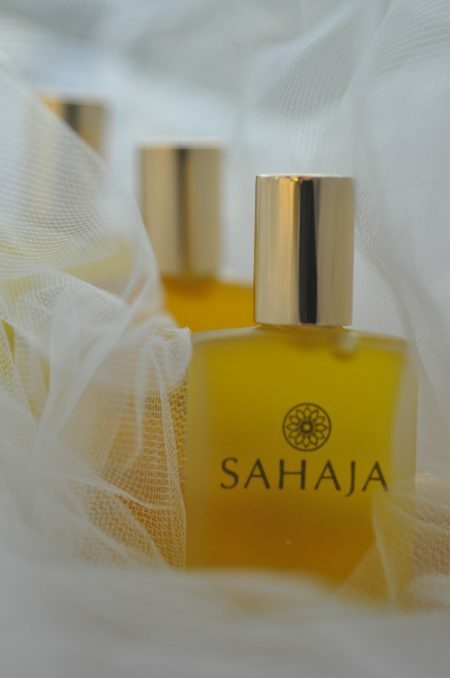 You can also choose one of the existing SAHAJA blends to pour into mini bottles with a customized wedding sticker. Price varies with the cost of the blend and number of bottles. Please inquire by email or phone (310-570-7429). Customized Beautiful Wedding Pillow Boxes and Custom Wedding Stickers for guest gifts of SAHAJA wedding blends. Price upon request. Price depends on quantity ordered. Please inquire by email or phone (310-570-7429).